Taking a self-drive holiday is ideal for the independent type of traveller who prefers making their own decisions as to the itinerary they’d most like to experience, and at the pace they wish to travel. 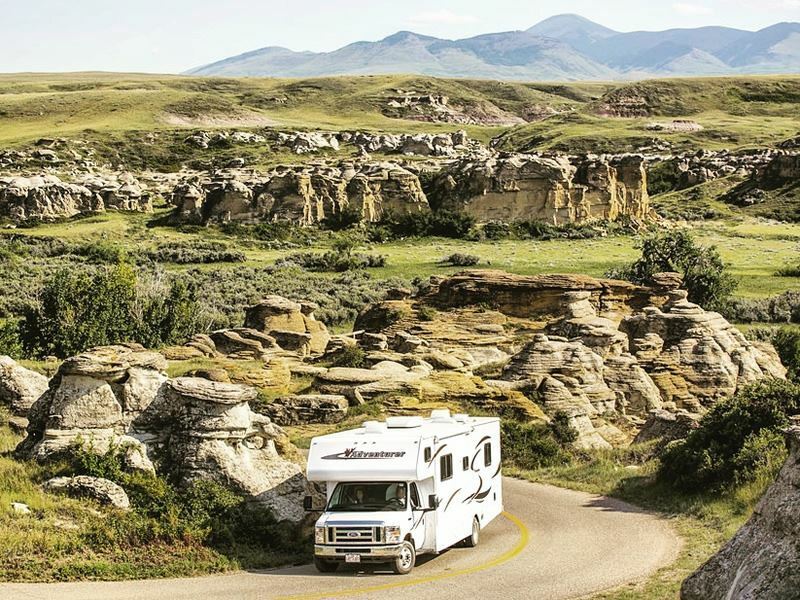 In fact, it’s arguably the best way to explore Canada’s vast 250,000-square-mile province of Alberta, with its soaring mountains, more than 600 lakes, cowboy culture and opportunities for practically endless outdoor adventures. 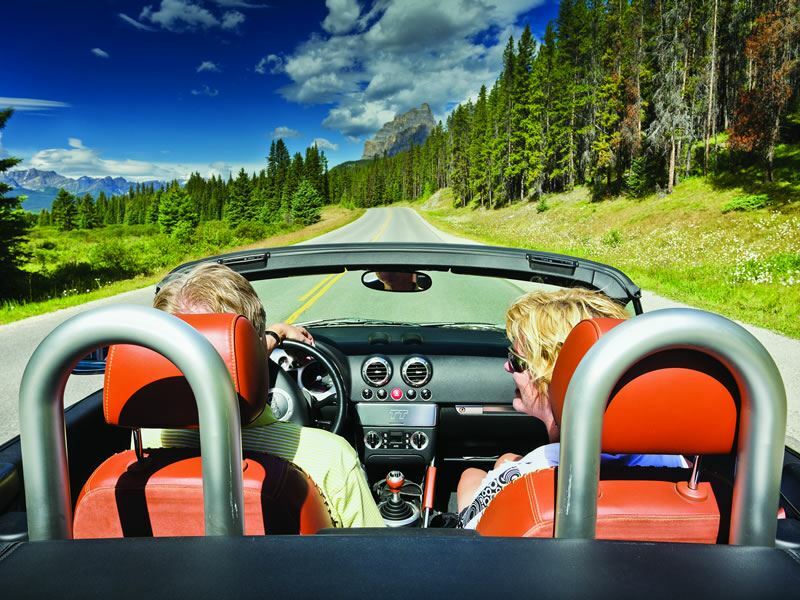 There are countless scenic road trips that demonstrate the striking beauty of Alberta, taking drivers through the boomtown architecture of small towns built at the turn of the century and the Old West to the untamed north and the heart of the Canadian Rockies with awe-inspiring scenery that’s dotted with cascading waterfalls, glistening lakes and over 100 ancient glaciers. Taking a road trip along the Icefields Parkway from Banff to Jasper will reveal stunning grandeur around nearly every turn. Ranked by National Geographic as one of the top 10 drives in the world, this is an excursion of a lifetime. 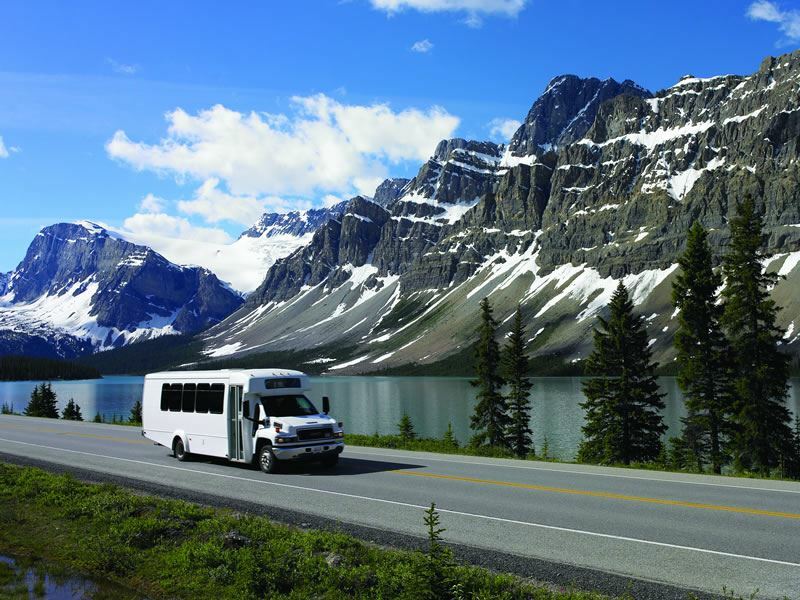 The 142-mile stretch follows the Continental Divide and links two national parks, Banff and Jasper, as well as Lake Louise and Jasper. You’ll soak up views of some of the Rockies’ highest mountains, sweeping valleys, waterfalls, and those legendary pristine turquoise lakes with hues so brilliant you might be convinced that someone has poured in an artificial dye – but, no, that truly is the work of Mother Nature. 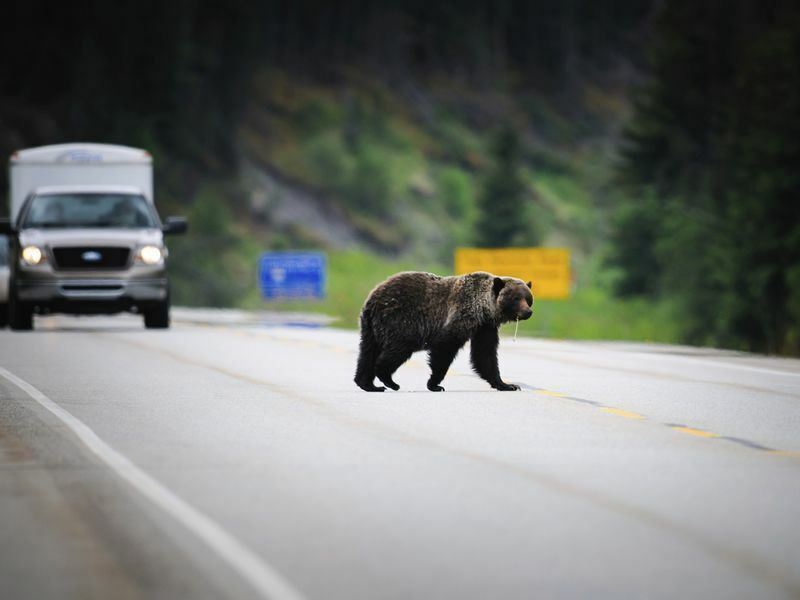 The Icefields Parkway is also one of the best trips you can take for spotting wildlife. Wildlife viewing is a highlight here, with more than 53 species of mammals and over 260 species of birds calling this area home. Just some of the animals you might glimpse include grizzly bear, black bear, big horn sheep, woodland caribou, elk, marmot, lynx and bobcat. Just remember not to get too close, for the animals’ safety as well as yours. Their behaviour can be unpredictable, especially when females are with their young or when males are defending territory during the mating season. Bring along a pair of binoculars and/or a zoom lens for a close up look. Some of the must-stops along the way include Herbert Lake – the north side offers impressive views of Mount Temple, and when it’s calm, the reflection is spectacular. If you want to stretch your legs, stop at Bow Lake to hike the easy 5.5-mile roundtrip trail to Bow Glacier Falls, a magnificent waterfall with Mount Jimmy Simpson in the background. A quick stop at Peyto Lake offers a bird’s eye view of one of Banff National Park’s most breathtaking alpine bodies of water, while Mistaya Canyon can be reached with just a 5-minute walk off the roadway. This steep-walled canyon was carved by thousands of years of erosion, and boasts thundering waters in the gorge below. In Jasper National Park, the Columbia Icefield greets visitors and offers the chance to hike to the toe of Athabasca Glacier, the largest of the six “toes” that make up the icefield that once covered the Canadian Rockies. You’ll see firsthand the effects of climate change as it’s been disappearing quickly, losing more than half of its volume over the last 125 years. The melting ice has exposed raw bedrock, and you can view progression of pioneering plant life that’s begun to take hold on the barren surface. For an authentic western experience, the Cowboy Trail is a top pick, winding through the hills and ranchlands of southern Alberta. 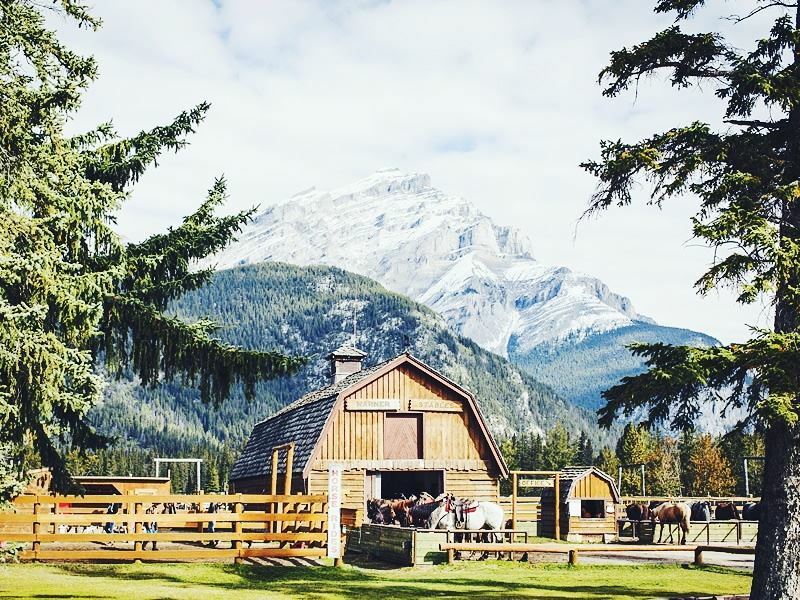 It heads north out of Calgary, stretching roughly 430 miles of rolling foothills, old barns and meadows, with mountains in the distance, all the way to Waterton National Park. This is the Wild West, with cowboy culture galore. Begin in Calgary, a sophisticated city that grew out of the Canadian West, balancing the modern and traditional with pioneer charm. If you visit in early July, don’t miss the 10-day annual Calgary Stampede, complete with rodeos, line dancing and cowboy hats, which are always in fashion here. Cochrane is a popular first stop, tucked within the Bow River Valley, with its Main Street lined with old-fashioned store fronts, cafes and shops, including famous MacKay’s Ice Cream. Take a stroll on one of the paths adjacent to the Bow River while enjoying a cone, or head up hill where you can see a life-size cast iron statue of rider and horse. The southern portion of the trail leads through lush meadowlands, and towns like Black Diamond, Okotoks, and Turner Valley, an area of the province known for inspiring many artists, with loads of art galleries and one-of-a-kind shops. Black Diamond is home to a lively arts community where the world’s largest black diamond can be seen, and just east of Okotoks, you can pick Saskatoon berries at Saskatoon Farm between mid-July and mid-August. Turner Valley housed plenty of prostitutes, bootleggers and ranchers in the early 20th century, where during prohibition, alcohol stills were hidden in the nearby hills. At Eau Claire Distillery, visitors can not only learn more about the history of the area, but can sample small-batch premium spirits from the province’s first independent craft distillery. Located in southeastern Alberta, the Canadian Badlands is a mysterious area with unique hill and rock formations that makes it easy to imagine dinosaurs roaming the otherworldly landscape, as well as being home to one of the richest deposits of dinosaur fossils on the planet. This is your opportunity to walk in the footsteps of the dinosaurs, check out fossils, petroglyphs, and the incredible natural rock formations of the hoodoos. This road trip begins in Calgary and traverses the Drumheller Valley through the heart of the badlands, which means before you go, you may want to get into the dinosaur spirit by checking out the Prehistoric Park exhibit at the Calgary Zoo. Here you can watch for triceratops grazing among the lush greenery and look up, way up, to see the massive T-Rex and its bone-crunching, knife-like teeth that were used to rip meat off its prey and swallow it whole. Once on your way, be sure to stop at Horseshoe Canyon to stand at its edge and take in the mystery and beauty of the badlands, with its walls revealing layers of time down to the Cretaceous period, a time when dinosaurs roamed what was once a sub-tropical habitat some 70 million years ago. In the town of Drumheller, greet the world’s largest dinosaur at its visitor information centre before exploring the next must-stop, the Royal Tyrrell Museum which features 35 dinosaur skeletons along with interpretive galleries where you can learn about Canada’s prehistoric life. Along the Hoodoo Trail, you can drive to the protected hoodoo site to view the fragile hoodoos before continuing on through coal-mining country for the chance to explore the Atlas Coal Mine Historic Site, one of the last mines on the continent with a wooden surface-standing tipple. Take a tour to go to the top of the eight-story tipple, as well as through the historic buildings and exhibits of mining equipment – keep your eyes and ears peeled, they say these structures are haunted. The tiny town of Dorothy nearby is a virtual ghost town with under a dozen residents today, but it offers a look at what the region’s pioneering communities were like, with its abandoned buildings including two historic churches, a grain elevator and a number of homes. The community hall still serves the few remaining inhabitants, and there is also a small museum worth browsing. One of Canada’s “wildest” drives, this road trip offers another opportunity to spot an abundance of wildlife, like grizzly and black bears, moose, elk, bighorn sheep, and wolves, as well as to explore extraordinary wilderness areas and take part in all sorts of outdoor adventures. It begins less than an hour west of Calgary, with the first stop, Cochrane, providing the chance to get a better outstanding of how the region’s wolves live in the wild and even observe wolf behaviour firsthand at the Yamnuska Wolfdog Sanctuary. After entering Kananaskis County on the Kananaskis Trail, you’ll get an introduction to what’s ahead: massive mountains and dense forests that are ruled by wildlife, not humans. Don’t be surprised if you can encounter a herd of mountain goats blocking your way – this is a place to forget about your schedule as Mother Nature is now in charge. In the foothills of the Rockies at Spray Valley Provincial Park, you can watch for the moose, deer and elk that graze in Moose Meadows before heading into Peter Lougheed Provincial Park and into the heart of Kananaskis Country, popular for backcountry hiking, mountain biking and fishing from the shores of Kananaskis lakes. Travelling north to Canmore, you’ll climb high into the Rockies, where both the drop-offs and views are dramatic. 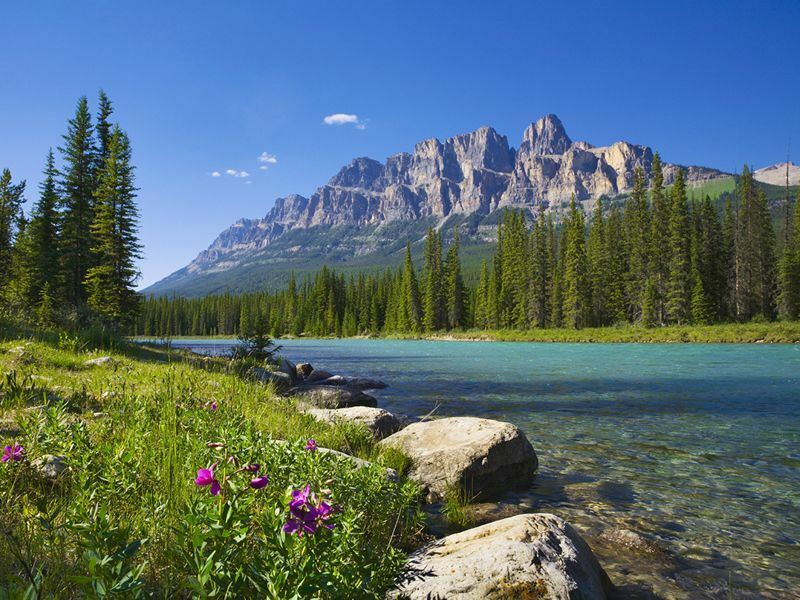 Canmore, famous for its outdoor recreational opportunities as well as its dining, arts and cultural scene, lies along the banks of the Bow River in the heart of the Rockies. It’s worth sticking around to explore its charming Main Street lined with its abundance of shops and eateries, or to take a brewery tour of the Grizzly Paw Brewery where visitors can sample microbrews and handcrafted sodas. The Deh Cho Trail offers the chance for a northern Alberta adventure. The 795-mile loop links Grimshaw in the Peace River region with the Alaska Highway in British Columbia via the Mackenzie River region of the Northwest Territories, heading through historic corridors once travelled by explorers and traders who came to buy furs from the Aboriginals centuries ago. Start in Alberta’s capital of Edmonton, where you can get a taste of the nature that awaits at the John Janzen Nature Centre, or visit the largest shopping mall in North America, legendary for its massive indoor waterpark with wave pools, waterslides and bungee jumping, as well as more than 800 shops. In Grand Prairie, one of the largest cities along the route, considered the hub of the Peace Region, you can find out more about the history of the region at the Museum & Heritage Village which focuses on early pioneers who homesteaded the area. Further along in Dunvegan, learn about the history of the region’s First Nations, missionaries and fur trade through costumed interpretive guides, while Manning, AKA, the “Land of the Mighty Moose,” offers exceptional moose and elk viewing. Continuing north to High Level, which describes the height of the land that separates the Peace River and the Hay River, visiting the Mackenzie Crossroads Museum is a must, with its primary exhibit featuring an extensive collection of more than 1,600 food and medicine containers. This is also a great place to spend some time, with the opportunity for lots of outdoor activities, including camping, hiking, fishing, bird watching and wildlife viewing, with bison, deer, wolves, bear, wolverines and numerous bird species found here.